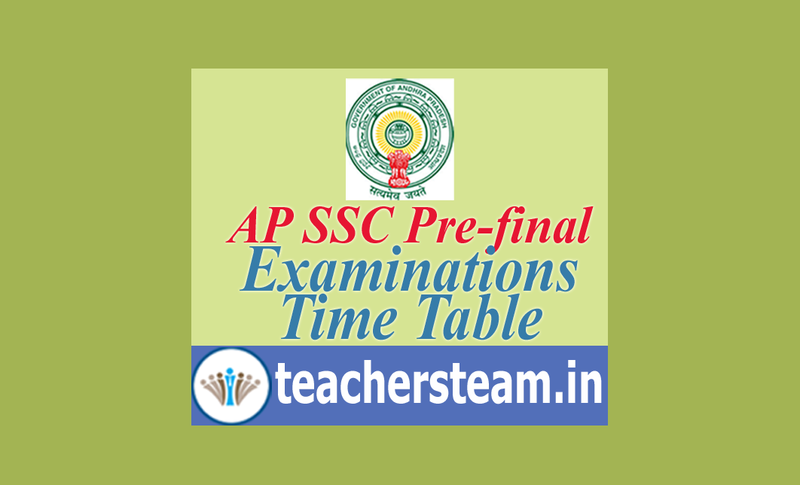 SSC Examinations pre-final time table in Andhra pradesh, Andhra Pradesh SSC Pre-final Exams time table, 10th class Pre Final Exams Time Table issued by Government of Andhra Pradesh, SSC Pre Final Exams in February, Time Table for SSC Pre Final Exams. The Examinations of SSC Pre Final in Andhra Pradesh will be conducted in the month of February Every Year. Special classes will be conducted to 10th class students from the month of December every year. Director of Government Examination will issue a Separate Time Table for the conduct of SSC/10th class Pre Final Examinations in Andhra Pradesh. 10th class Pre Final will start from 18-02-2019 and these exams will end on 02-03-2019. All the Headmasters of High Schools are instructed to follow the Time Table given by the government/Director of Government Examinations in conduct of SSC/10th class Pre Final Exams.